I have been seeing many articles this week about the Arhda Kumbha Mela celebration that began on the 14-15th of January 2019 in Prayagraj (Allahabad), India. 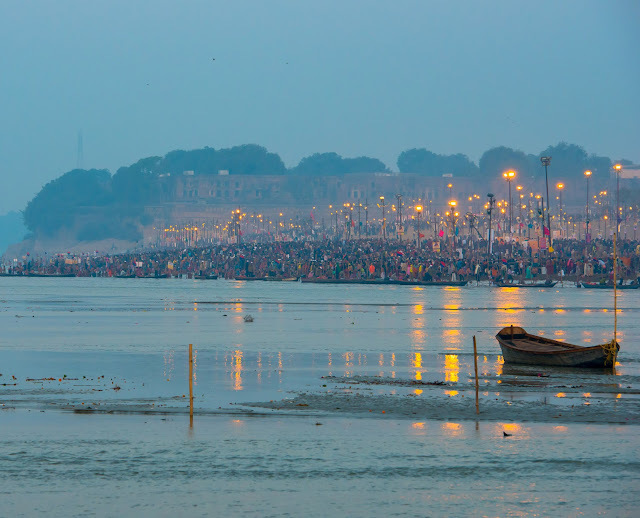 The Guardian has described this Mela as the world's 'largest-ever human gathering', wherein some 120 million Hindus are expected to bath in the sacred waters of the Ganges river between the opening of the festival and its close on 4 March 2019. The opening of the Ardha Kumbha Mela was set in conjunction with the Indian/Nirayana calculation of the Sun's entrance into the sign of Capricorn, an event known in India as Makar Sankranti (Makar signifying Capricorn and Sankranti indicating passage or entrance into an astrological sign). As discussed in my last post and throughout Thea's writings, the entrance into Capricorn (Makar Sankranti) and all four of the Cardinal Points of the Zodiac cannot, in truth, be separated from the four defining points of the Earth's Year, as established by her Equinoxes and Solstices. Due to India's adoption of the Sidereal (Nirayana) measure of the Zodiac many hundreds of years ago , Makar Sankranti is collectively celebrated in India approximately 24 days late, 24 days after the actual Capricorn Cardinal Point of the Earth's Year. This divergence from the actual Makar Sankranti and the celebration of Makar Sankranti increases every year . Below, I will share some of Thea's thoughts on the consequences of India's chronic un-Vedic miscalculation the Vedic Year  in relation to the Kumbha Mela; but first I will share some basic information about this Hindu festival for those who are unfamiliar with it. In Part Three of this series I will discuss the importance of understanding the equivalence between the Kumbha (Water Jar), the sacred rivers of the Vedas, the amrita of Vishnu and the Vesica Piscis of the Circle/Zodiac. Ardha means half. Mela means fair or festival and Kumbha means Pot or Jar and is also a name of the astrological sign of Aquarius which is associated with the figure of the Water-Bearer who pours his cleansing waters of heaven onto the Earth from his Water Jar (Kumbha). In The New Way Vol. 2 (pp. 337-342) Thea discussed much of the occult significance of the Kumbha Mela including the correspondences between the 12-year cycle of the Mela with the 12-year cycle of Jupiter, the 12 signs of the Zodiac, the 12 degrees of longitude which the Ganges crosses from its source (79° 4' E Longitude) to its mouth (91° E Longitude), and the first 12 degrees of Capricorn in the Earth's calendar . Thea also discussed the sacred significance of the Ganges river and the Kumbha Mela in terms of Hindu mythology which portrays Ganges as the carrier and deliverer of Shiva's victorious Son. It is acknowledged that there are various inconsistencies, difficulties and disagreements in calculating the astrological conjunctions of the Kumbha Mela dates. 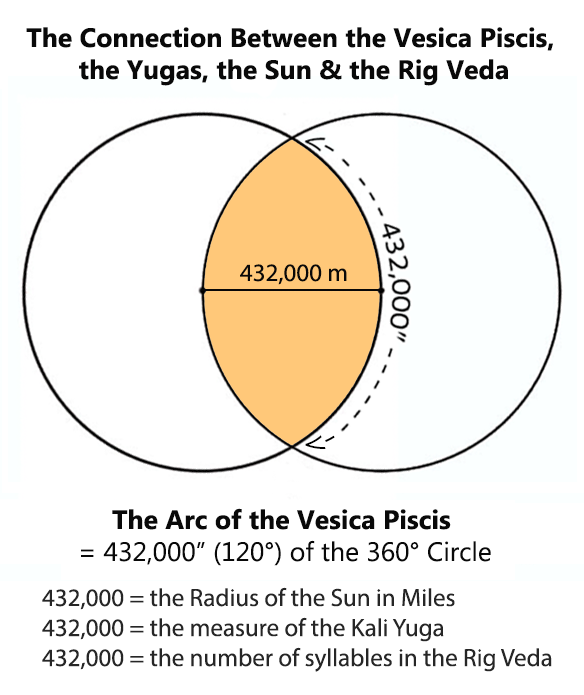 Yet those doing the calculating do not seem to acknowledge or address the larger and most crucial problem or error of calculating the Kumbha Mela according to the Sidereal (Nirayana) Year instead of according to the set measure of the Earth's own sacred Solar/Tropical Year ‒ the set measure of the Earth's own 'Circle of Life' which is the true meaning and essence of the Zodiac. The Earth's sacred yearly Circle or Cycle of Life is intimately and perpetually connected to the Earth's four seasons as marked of by the Equinoxes and Solstices. The Earth's sacred yearly Circle of Life does not shift according to the apparent movement of the uneven and imaginatively composed Constellations as posited by those following the Nirayana calculations of the Zodiac . To begin, the above reveals just how central a role cosmic harmonies play in the life of Hindus even into the present, though now bereft of the higher knowledge that had formerly sustained the tradition. To be precise, we know that the Calendar Reform Committee held in 1953 cemented the current Nirayana-based ‘Hindu Calendar’ for all times to come. Thus, to one who sees, to a person knowledgeable of the Cosmic Truth and its harmonies, to a true initiate of the Vedic sacrifice on the backdrop of the Year, the ‘auspicious dates’ Roy presents in his book for the faithful to take dips in the sacred river as determined by the pundits, are all based on the wrong circle for this purpose. The list begins of course with the Makar Sankranti on 15 January, for indeed the Kumbha Mela should begin in Capricorn, the sign of Ganga’s geo-cosmological measure (see Part Six) but correctly measured. This ‘wrong circle’ is the sphere of the constellations rather than the ecliptic, not that ‘one circle’ extolled in the Veda which ‘does not shake’ because it is perfectly balanced on the four Cardinal Poles, the pillars of our Earth year. It is then divided into 12 parts, each of which is given a name and hieroglyph, thereby preserving the wisdom of the Veda for future generations when that same Knowledge would again descend to replace the Cosmic Ignorance prevalent today. For many centuries the devotional energies of millions of Hindus have been usurped to consolidate disunity, disharmony, disintegration. The Kumbha Mela has therefore been reduced to one more grand manner to fortify the un-Vedic goal of otherworldliness: pilgrims bathe in the sacred waters to expiate their sins, to remove bad karmas and to seek moksha, which centrally means never more to be reborn on Earth. The Earth is rejected in the very land that embodies her soul. 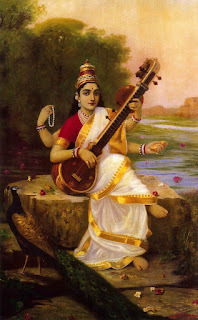 Ganga is, in a sense, reversed to flow against herself, against the destiny her mighty waters carry to fulfilment, from her source at 12º Capricorn to her mouths at 0º. Cosmic harmonies reveal the truth that IS; for those ‘mouths’ are now in the possession of another. Time and again the Earth is rejected by this refusal to respect her Dharma as explained by her position in the solar system and which reveals the cosmic note she adds to the symphony of the spheres. No other nation and civilisation on Earth, from ancient times to the present, offers such a clarity of destiny. This clarity is precisely a result of the initiatory pathway or journey (along the ecliptic) that the Aryan Warrior completes successfully, to enjoy victory in the tenth month, Capricorn/Makar. But this Vedic Correspondence is lost when entry into that sign/month is ignored and replaced by a non-Vedic ‘correction process’ as we find in today’s celebration of Makar Sankranti. More importantly, when the cosmic connection is purported to be maintained but is, in effect, distorted and not eliminated entirely, the situation is worse than it would be with a total disconnect. ‘Religious movements and revolutions have come and gone or left their mark but after all and through all the Veda remains to us our Rock of the Ages, our eternal foundation.... The Upanishads, mighty as they are, only aspire to bring out, arrange philosophically in the language of later thinking and crown with the supreme name of Brahman the eternal knowledge enshrined in the Vedas. Yet for some two thousand years at least no Indian has really understood the Vedas.’ Sri Aurobindo, India’s Rebirth (emphasis added). Clearly there is a problem. How would the Hostiles contend with the unparalleled consolidated energies of ten million Hindus gathered at the sacred confluence not only for their personal salvation but knowingly there to save the Earth and her embodied soul that is India? How would the falsehood of Partition contend with an influx of unified energies from a Kumbha Mela accurately joined to the heavenly Harmony? Who could withstand the power of the celestial Ganga drawn down to meet her Earthly counterpart through precise measurements of Time and Destiny as encapsulated in the Vedic Cosmic Truth of old and eternally valid, the true sanatana dharma? What paltry divisive powers could withstand the force of unity that such a harmonisation would bring? This is the way for India to conquer – by just being true to her Dharma as written in the cosmic harmonies. This is the definition of super power for her, a unique destiny unlike any other on Earth. Lamentably, if we are to go by conditions on the subcontinent today, we must admit that Sri Aurobindo’s warning of a ‘fissured unity’ is an accurate description of the prevailing state of affairs. It would seem that diversity has been exalted above all else without a unifying canvas on which those expressions of language and ideology, caste and class can be brought together under a single umbrella, each occupying its rightful place within the whole. The effort since Independence has been to make minorities of all sorts ‘feel comfortable’ in the new India. But this has been at the cost of a weakened cultural fabric that had always provided an indestructible sense of unity from time immemorial. Without a unifying fabric allowed to play its destined role as it has always done, uncontaminated by a biased interpretation of secularism, how can a society as diverse as the Indian present anything but a fissured unity? Alas, India can only help herself by restoring self-confidence in both her majority and minority populations which a unifying canvas had provided to the subcontinent throughout history. Today that canvas is ‘fissured’. Therefore, how can it support the unfolding of a destiny that is meant to be the cosmic sustenance of the whole Earth? However, it is as if the Rishis in their immense wisdom understood what would befall the civilisation millennia down the line. They therefore left explicit instructions on how to both unify energies and to recognise the falsehood introduced that would result in a fissure of that unity, just as Aurobindavatar stated at Independence. The hymn that preserves this wisdom is simple. Almost simplistic it would seem; yet that simplicity holds the answer and it can be implemented immediately. But, will India take heed? Twelve spokes, one wheel, navels three. Three hundred and sixty like pegs. They shake not in the least. three are the hubs – who can understand it? The simple clue is the Rishis’ emphasis on ‘one wheel’. And further, that its 360 ‘spokes’ are firmly riveted…They shake not in the least. These lines confirm that the Nirayana calendar for Hindus is a great misinterpretation and un-Vedic to the core because it is not a measure in that ’one wheel’ that ‘shakes not’. Rather the exhortation of these post-Vedic pundits is that there must be a constantly shifting (shaking) ayanamsha because the constellations themselves are constantly shifting, so they claim, and with Mahavishuva and Makar Sankranti ‘shifting’ as well. They alone in their ‘wisdom’ are in a position to make the necessary ‘correction’. Hence their vested interests are protected because they have knowledge which laypersons ignore. But with the descent of the Supramental Avatar and his Line, connection to the Vedic Way is restored. Balance on the four Cardinal Poles is formulated scientifically; no latter-day pundit is required to ‘correct’ anything. Mahavishuva and Makar Sankranti timings are firm and unshakable, year in and year out. This is how the Dharma is maintained eternally, for as long as our solar system lives. Thea wrote that India became essentially corrupted by the Sidereal/Nirayana measure of the Zodiac (Vedic Year) circa the 11th century of our common era. See 'The Origins and Nature of Hindu Decline, Part 2'. This divergence grows approximately 1° each 72 years, due to the 25,920-year Precessional Cycle wherein 1° of Precession of the Equinoxes corresponds to 72 years (360° x 72 years = 25,920 yrs). A collection of Thea's articles about the mis-measure of Makar Sankranti (and the corresponding mis-measure of the entire Zodiac) and its grave importance for India and the world, can be found at www.AeonCentre.com. On p. 346 of TNW, Vol. 2, Thea discussed the 12 degree stretch of the Ganges from 79°-91° E Longitude [which correspond to 29 Sagittarius to 11° Capricorn in the Zodiac]. She wrote: '[Ganga] starts at 79° and ends at approximately 91°'. A few pages later she wrote, '[12/13 Capricorn] on the Gnostic Circle, is the point of the source of the Ganges. From here the river moves across 12 degrees of longitude, and carries us to its mouth at exactly 0° Capricorn. Thus, to sum up, Ganga's measure on the Gnostic Circle, corresponding to her actual physical position on the globe, is from 0° (mouth) to 12° (source) Capricorn. Once more we are shown [Ganga] is indeed the River of January. In the calendar this 12-degree portion of the circle goes from 22 December, the solstice, to approximately 3 January. ' [p.349] Added Note: The source of the Ganges (Gaumukh) is 79° 4' E Longitude. As far as I can see the 1° of longitudinal space between 79°-80° E longitude corresponds to the 1° between 10°-11° Capricorn on Thea's Geo-Cosmological (Zodiacal) Map of the Earth. This map is shown below with Ganga's descent from 79°-91° E (11° Capricorn - 29° Sagittarius) highlighted in yellow. Thea also noted that Pondicherry, the seat of Sri Aurobindo's and the Mother's Supramental Yoga, falls at 79°50' E Longitude, in the same degree wherein the Ganges emerges from its source (Gaumukh, 79°4' E Longitude]. Many have noted that many Shiva temples fall along this same longitudinal line throughout India (often misrepresented as a latitudinal alignment) corresponding to 10° Capricorn in the Zodiac and the first day of the New Year of the Gregorian Year. 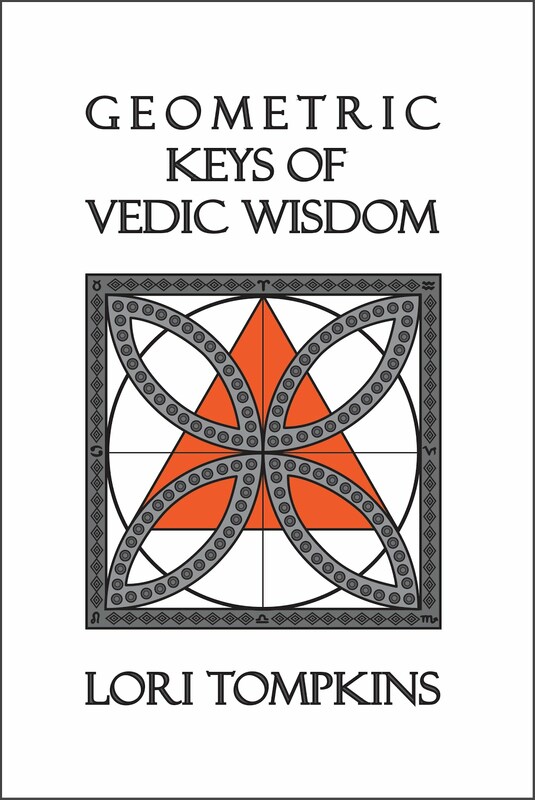 In Geometric Keys of Vedic Wisdom (Part 2, Ch. 1), I discussed how Thea's passing demonstrated an astounding equivalence with this longitudinal axis, the 79°-90° E longitudinal span of the Ganges river, and the 2016 Navratri/Vijaya Dashami celebration). Due to the Earth's Precessional movement, the Constellations appear to slip backwards along the Earth's ecliptic. Sidereal/Nirayana astronomers attach the zero point of the Zodiac (0° Aries) to a fixed point, position or star in the Constellations of the Ecliptic. This point slips backward through the Tropical Zodiac at a rate of approximately 1° per 72 years, creating a constant need for correction. The glaring problem is that there are many varying opinions regarding where to fix this zero point of Aries in the Constellations and it has to be agreed upon by calendar committees whose members have collectively disregarded the Earth's actual yearly entrance into Aries upon the March Equinox, disregarding along with this Earth-established zero point or Sankranti, the true sense and measure of the Zodiac. Blogger/Author LORI TOMPKINS grew up in Virginia and received her BA in English Literature from the University of Virginia in 1991 and an MA in Education at the University of Colorado in 1994. Lori has been a student of Integral and Supramental Yoga since 1993, and she currently lives and teaches Hatha Yoga in California.